With the 2012-2015 Duke KTM made a bike that can give an experienced rider the thrill they are looking for whilst being a more usable package with a broader appeal to a wider spectrum of riders than the previous version. The Duke is spot on for commuting and hammering down twisty country roads, where bigger, more powerful bikes would struggle. 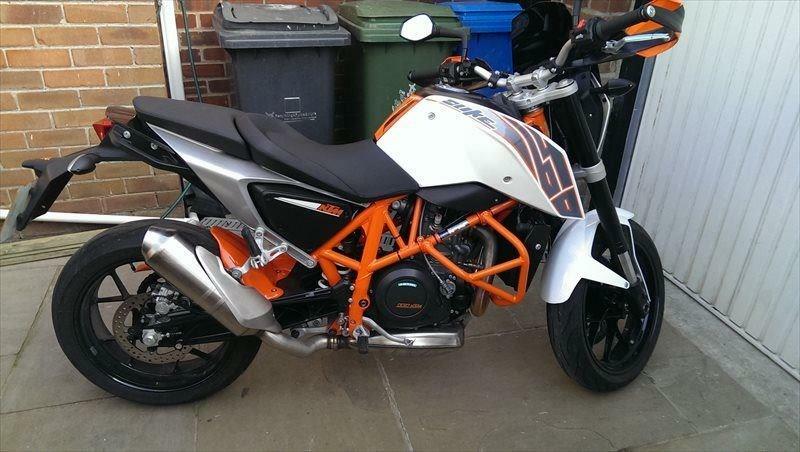 If you want a pure, no-nonsense bike, the 690 Duke should be top of your list. This example has covered less than 4000 miles and comes with screen, crash bars, hand guards, rear hugger and tank protector.